Is QUAKE LIVE the Future of Gaming? 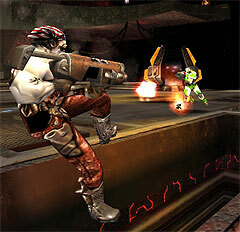 QUAKE LIVE was launched to eager Internet gamers earlier this week. The new game is based on the 10 year-old critically acclaimed Quake III by 3D gaming experts id Software. However, this version is free and is played directly within a browser anywhere and at any time. The game has been insanely popular during the first few days. If you have managed to play it, then you are one of the lucky ones. Many people were left waiting in virtual queues that exceeded 50,000 in depth. Id Software have apologized for the problems and are working on a solution. However, you are unlikely to get a quick blasting fix unless you are very, very patient. you need to install a browser plug-in to play. There are rumors that the game is developed using Adobe Flash, although the dedicated plug-in is likely to handle much of the graphical gaming effort. The browser is primarily used as the game’s delivery mechanism rather than being the basis for its implementation. However, it is early days. 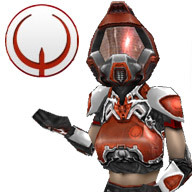 Whether you assume QUAKE LIVE to be truly browser-based or not, the game matches the quality, playability, and speed of console-based gaming a generation or two ago. Until now, Flash and browser games have been simplistic but perhaps this high-profile release offers a glimpse into the future direction of the games industry. 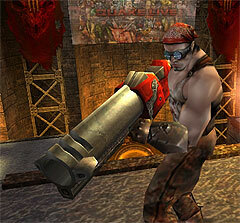 Have you managed to play QUAKE LIVE? Did you need to wait long? Was the game any good and would you recommend it? Could this be the start of high-end on-demand browser gaming?